I’d bet that David Lynch does not play video games. I can’t say why, but I have a hunch that he’s just not that kind of guy. And if I told people that Lynch had an impact on one of the most widely played video games series ever, they probably wouldn’t believe me. And even if they did, they wouldn’t expect Lynch to have left his mark on a Nintendo series. But he did. A few months back on this blog, I mentioned Iwata Asks, an online series in which Nintendo president Satoru Iwata talked to his employees about their creative processes. (I was happy that someone finally explained the origin of the “P” on the P-Wing in Super Mario Bros. 3, if you’ll remember.) A new Iwata Asks has gone up that details the Zelda series in promotion of an upcoming game. In it, Iwata speaks with two longtime developers, Takashi Tezuka and Eiji Aonuma, about The Legend of Zelda: Link’s Awakening, an early title released for the Game Boy. In it, Link washes up on a strange, dream-like island. The area is populated with suspicious characters that Link must interact with, and the developers said in the interview that the idea behind this setting came from Twin Peaks. Aonuma: Whoa, here we go. (laughs) Iwata-san, do you know about Twin Peaks? Tezuka: We were talking about this before you arrived. I was talking about fashioning Link’s Awakening with a feel that was somewhat like Twin Peaks. At the time, Twin Peaks was rather popular. The drama was all about a small number of characters in a small town. Tezuka: So when it came to Link’s Awakening, I wanted to make something that, while it would be small enough in scope to easily understand, it would have deep and distinctive characteristics. Iwata: You thought he just wanted to be trendy? Tezuka goes on to explain that prior to Link’s Awakening, these “suspicious types” didn’t really exist in the series but they ended up carrying on to the later titles. So there you have it: Proof that not only did Lynch influence one Zelda game but also the series as a whole. And I can totally see it now, even though I played the game after Twin Peaks’s run had ended and before I ever watched it. Link is stranded in an isolated area much like Agent Cooper is stuck in the remote, titular town. The people in both locations are eccentric, to say the least. Link runs around doing favors for these folks, learning little bits about them, and then ultimately stops the big bad and gets to leave. (In that respect, Link’s Awakening turns out a lot better for the hero than Twin Peaks does.) As someone who has loved David Lynch for a long time — and loved video games for longer — I am delighted to learn about the intersection of these two things I wouldn’t have ever expected to cross. 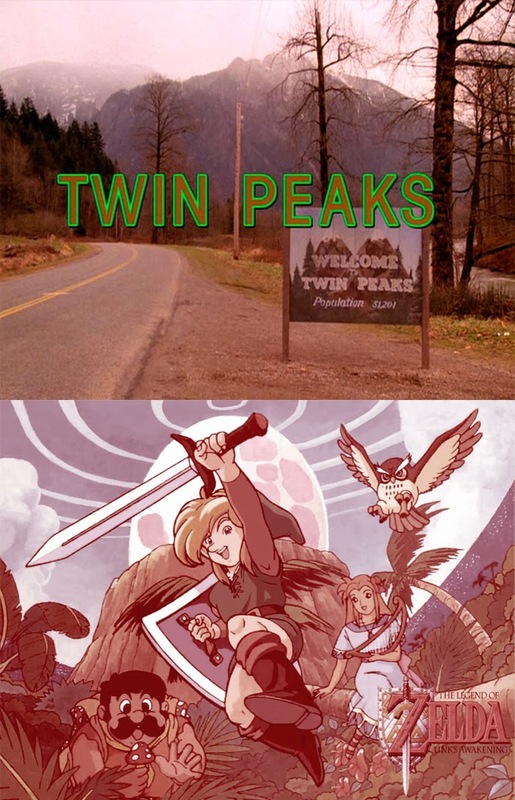 So that, in and of itself, it pretty damn neat, but there’s a bit more speculation to be had now, knowing that the game’s developers had Twin Peaks in mind. I’m going to hold off here just because it’s really of interest only to Twin Peaks nuts and Nintendo nerds — with an emphasis on the latter and bonus points if you’re both. Seriously, the geek radiation may melt your face. But click through to read the rest if you’re up for it. Now, I could write forever in an attempt to unpack Twin Peaks and analyze every little part of it. However, if I had to pick out three big motifs from the show to talk about in the context of Link’s Awakening, it would be owls, dreams, and doppelgangers. Both Link’s Awakening and Twin Peaks have them. I don’t necessarily think these overlaps are intentional, but in the context of the Iwata Asks interview, I think it’s fun to look at further connections. 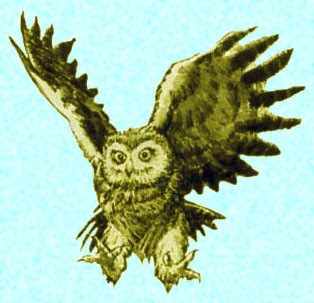 One of the many lingering mysteries about Twin Peaks is the meaning of a phrase spoken by several of the town’s suspicious types: “The owls are not what they seem.” The nature of the local owls may be mysterious to the characters on the show, but viewers quickly figure out that these birds don’t seem to have humanity’s best interest in mind. They watch various nighttime happenings from the trees, they are manifestations of the forest’s resident evil spirit (BOB, the show’s big bad), and they even have a creepy hangout called Owl Cave. There, characters find creepy pictoglyphs made by Native Americans that depict various supernatural phenomenon and even a map of the local area. Just a little Zelda-ish. Link’s Awakwning features just the one owl — a nameless but wise character who guides Link on his adventure around the island. It too has clearly been lurking about, getting a feel how what goes on around it. And yes, it’s a lot more benevolent than the Twin Peaks owls, but it’s not above suspicion. During the game, Link learns that he’s trapped on Koholint Island, which exists only as a product of the dreams of the Wind Fish, a sort of deity that sleeps in a giant egg at the top of the island. (As we all hope to do one day.) If Link wants to go home, he must wake this sleeping thing up, but in doing so he’ll cause Koholint and its inhabitants to vanish forever, just as any dream would when the person having it wakes up. Therefore, though the owl is helping Link, it also wants Link to wipe the island from existence. Sort of a heady concept for a child’s game: save yourself by destroying reality. 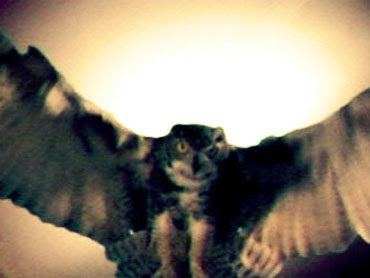 What’s more, when Link finally completes his quest and awakens the Wind Fish, the owl explains that it is actually a manifestation of the Wind Fish, sent out into the world to do its bidding—maybe kinda-sorta like how the Twin Peaks owls might be manifestations of BOB. It no longer needing to guide Link, the owl fades into thin air. So that’s one: owls that essentially function differently in either work but who also have some fundamental similarities. The way dreams work in both Twin Peaks and Link’s Awakening matches up a little more closely. Twin Peaks is famous for its dream sequences to the point that even people unfamiliar with the show have some idea what they’re about: red drapes, zigzag-patterned floor, a creepy dancing little person, and backwards talking. Below is the first glimpse of that dreamspace. As the show progresses, Agent Cooper learns that Laura Palmer (the blonde woman) had the same dream at the same time he did. There’s a sense that perhaps dreams can be a place people can inhabit as they would a room or a geographical location. Later it comes to light that the dream took place in a supernatural space called the Black Lodge, a kind of hang-out for evil dream spooks. But despite it not being a physical location with a street address and a mailbox, Cooper and other characters physically enter the Black Lodge in the series finale. And the otherworldly beings that live in the Black Lodge can leave and appear to humans who are either dreaming or fully awake. Overall, there’s a lot more going on with dreams throughout the show, but the notion of being able to physically pass into and out of dreams as if they were physical places is the important one to keep in mind here. Link’s Awakening has this concept too, to an extent. 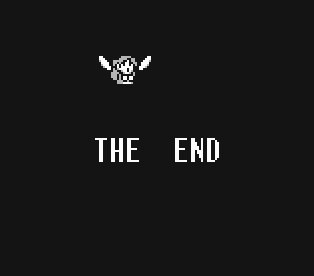 Whereas Super Mario Bros. 2 ends with the standard “It was all a dream!” revelation, the player learns mid-adventure that Link’s Awakening is set in a dream, even though it’s the Wind Fish’s and not Link’s. Regardless, Link is literally in a dream. The Wind Fish has created a small universe that Link can walk around in and interact with as if it were real — at least until it fades away and Link re-enters his own reality. However, he’s not the only one to make it out of the dream. Though Zelda’s name appears in the game’s full title, the princess herself is absent from Link’s Awakening. In her place is a similar-looking young woman named Marin. She is the one who finds the shipwrecked Link at the game’s beginning and takes him home. She also longs for a different life, specifically as a seagull that can fly away to a new place. (As we all do.) 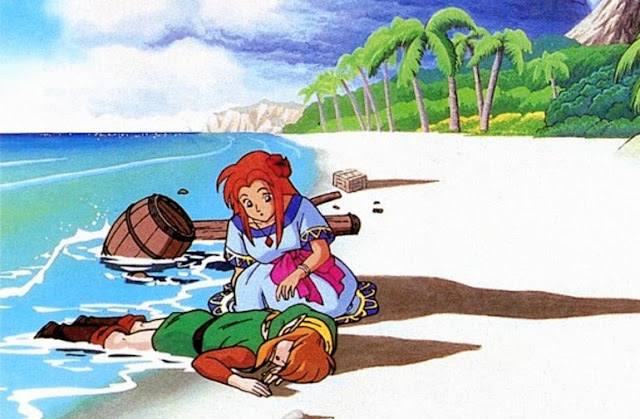 She may get her wish: If the player can beat the game without letting Link die once, an altered version of the credits features Marin with wings, flying away. It’s not necessarily canon, but it does suggest that this girl who’s a product of a dream makes it out into the real world—at least as a parting gift to dedicated players. Finally, there are the lookalikes. Twin Peaks has them, Link’s Awakening has them, and consequently most later Zelda games have them as well. As the name of the show might imply, Twin Peaks has a lot of doubling. Some of it is figurative. For example, Laura Palmer has two high school boyfriends. Characters lead double lives. Characters look alike. One pair of lookalikes even discovers that they’re half-sisters. It’s all very soap opera-ish. More important to this discussion, however, is the literal doubling. Sheryl Lee, the actress who plays Laura, also plays her identical cousin, Maddy. Cooper gets his own double when Bob possesses his body in the Black Lodge, stranding the good one there and sending an evil Cooper out into Twin Peaks. Even the Black Lodge itself has its own double, the White Lodge (of course). Link’s Awakening presents its doppelgangers and lookalikes differently, but I’m tempted to say that if anything from the game other than the “suspicious types” originated on Twin Peaks, it would be these. Right off the bat, there’s Marin. At the start of the game, Link confuses Marin for Zelda. For the rest of the game, Marin is right-hand gal when he needs her, getting herself abducted at one point but and ultimately helping him complete his quest and standing in for Zelda, who never gets mentioned again after Link’s initial mistake. A Zelda doppelganger in a Zelda game makes sense. What really helps set Link’s Awakening apart from the other games in the series, as far as being a bit “off,” is the presence of more out-of-place doppelgangers — specifically ones for Mario and Luigi. For Mario, it’s Marin’s portly father, Tarin. And if the mustache isn’t a giveaway, you learn that Tarin collects mushrooms (ding!) and at one point gets transformed into a raccoon (ding!). In the interview, Iwata himself notes the strangeness of this character, saying “Did that guy who looks like Mario appear because you wanted to make someone who looked suspicious? He did look suspicious, but….” And it is strange. He doesn’t belong there. Tarin’s role is small, but Luigi’s is even smaller. Indignity of indignities — he’s a nameless chicken farmer. And that’s about it. Various Mario enemies make appearances too, including Super Mario Bros. 2 big bad Wart, who apparently only gets to appear in Nintendo games that turn out to be dreams. Link’s Awakening even draws from obscure Nintendo titles. There’s a cameo by Richard, a character from the Japan-only The Bell Tolls for the Frogs. It’s almost like Link’s Awakening has Nintendo characters taking roles in a play — or appearing in a dream in a mixed-up fashion. 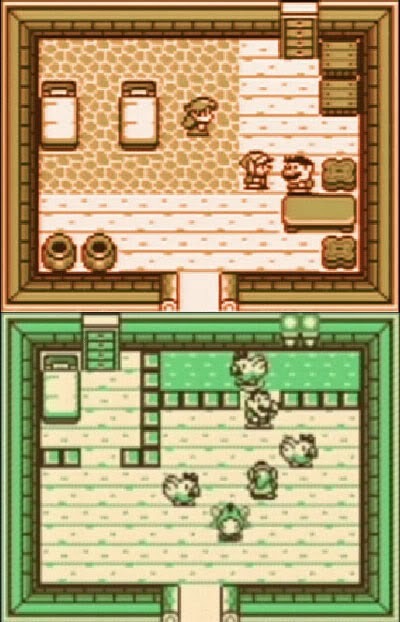 Later Zelda games still feature Marin, Tarin, and Mr. Chicken Farmer in a sense — as doppelgangers. (Yeah, the doppelgangers get doppelgangers). Marin shows up in Legend of Zelda: Ocarina of Time, more or less, as Malon — a ranch girl instead of an island girl. Tarin is Talon, Malon’s father. And someone who looks a whole lot like that chicken farmer is now Ingo, who works on Talon’s ranch but deeply resents his boss. And if that weren’t enough, yet again different version of these three show up again, in Legend of Zelda: Majora’s Mask, which bumps Link into a wonky version of his regular reality. I’m happy that there’s a connection between a show I love and a game I enjoyed when I was a kid — certainly happy enough to put all this up. Again, I’m not trying to assert a definite causation or inspiration relationship between Twin Peaks and Link’s Awakening, but I do think the admission that the Twin Peaks played into the series at some point allows room for a little speculation. If nothing else, the two works create an interesting dialogue about a few ideas you don’t see too often in TV shows or video games — and certainly not in conjunction with one other. And since I’m on the subject — and probably never will be again — I’ll conclude by saying that I’d kill to watch a video of David Lynch playing video games and narrating what’s happening and what he thinks about it. Can we make this happen? Maybe Marin looks like Zelda, but I feel like Malon looks like Princess Peach. It fits if you think about her being associated with a "Mario" and a "Luigi." Also, it is easier to see in her adult form. But she has blue eyes and her hair flipped out on the sides. She looks like Peach to me. LA has always been my favourite Zelda game, and this is a very interesting reason behind one of the most surreal and interesting games in the series. Everything is fantastic. The music, the characters, and the head-trip of an ending. It actually makes you feel bad for escaping the island. Besides that, the constant references are great. Mr. Write (Dr. Wright) writing love letters to "Christine" (Peach) is probably my favourite. Though dream or not, I still can't figure out how the shop keeper has a magic beam of doom. You know, the one where it turns out Twin Peaks was all made up as the creator went along with no overall plan. Maybe the same applies for the Legend of Zelda timeline, heh? Ian: You bring up a good point: Peach does, in fact, cameo in this game too. I'd forgotten about that. Correct me if I'm wrong, but isn't the joke that the lady goat is writing these letters to Mr. Write and supplying fake pictures of herself, trying to make him think she's gorgeous when she's actually a goat? CM: I can't imagine that they'd chose to emulate THAT quality of Twin Peaks's, but you make a good point nonetheless. I remember this fabulous title, The Legend Of Zelda: Link's awakening, I spend a entire week trying to finish this game, and when I near to finish a friend of my tell me about new edition of this game. Not sure if you've ever heard of/ played Deadly Premonition, but it's essentially Twin Peaks the video game. Actually, laura had the dream of the lodge before Cooper did. When Cooper dreamnt about it Laura war already dead.